Mindfulness silences the noise, so that we can discover what pulls on our souls. In this six-week course, we will create a mindful approach to our writing practice. Each week through meditation and writing, we will see how mindfulness can create a space for our creativity. We will explore how to create a mindful writing habit, silence our inner critic and discover the stories we want to tell. We will open ourselves to our thoughts and to the page without judgment and let our ideas flow. No prior mindfulness or writing experience required. Be sure to bring paper and pen! We are often in our heads, distracted and not present for our lives as they are happening. We are disembodied. When we become disconnected from our bodies, we can become disconnected from our truest self and our creativity. Our bodies hold our memories, our experiences, and are the way to our inner life and our unique ideas. Spend a day reconnecting with your body and the stories it has to tell through meditation and writing exercises. Share your experiences and words in a safe, fun, and supportive environment. We will be writing by hand, so please remember to bring pen and paper. No prior writing or meditation experience required. day. 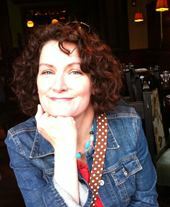 Visit her at: www.susanbarrtoman.com. Contact the program at 215-615-2774 or mindfulness@uphs.upenn.edu. Please be advised that we are not able to take registrations by phone. Should you decide to cancel your registration, please do so no later than the deadlines indicated above. There are no refunds after the cancellation deadline.